We Ask Them Of You - Here Are Some On Us! 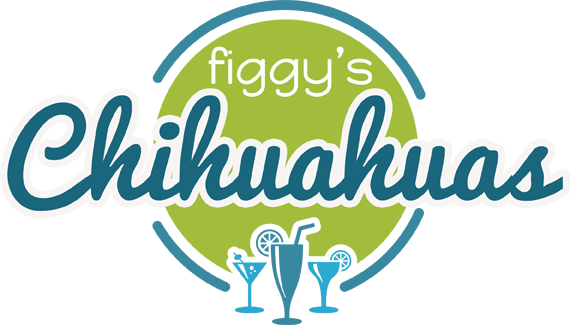 Figgy’s Cocktail Chihuahuas is a gem! We’re now on our second puppy from Jen and would never go anywhere else! Not only are her puppies such stunners but their temperament is amazing. Brady is almost a year and a half and is the most loving and sweet little buddy. His half sister Coco who is only 10 weeks is just as cuddly and affectionate. Jen’s love for Chihuahuas and amazing care really shows through in her pups! I have been meaning to write this note for quite some time, as I sincerely feel that Jen deserves the highest accolades when it comes to breeding chihuahuas. We could not be happier with Mojo – he is the perfect chichi for us. Yes, he is beautiful. But he also has an awesome personality to match! It is obvious that Jen pays close attention to temperaments when choosing her breeding parents. Once a litter arrives, she goes above and beyond to make sure the pups are well socialized so your pup is prepared once he or she goes to their new home. And Jen will be there for you to answer all of your questions, both before and after you take your new puppy home. If you are looking for the right chihuahua breeder, you have found her! Jen Newton is the best breeder that I have ever met!! I was fortunate to come across her incredible website while searching for my newest addition. After talking to her and numerous emails we both agreed that Guinness was the best puppy for myself and my other chihuahua Bella. Jen keeps her website up to date so anyone can watch their bundle of joy grow. I was counting down the days until I could bring my fur-baby home. Even after taking Guinness home I have been able to keep in contact with Jenn. She has been wonderful about answering any question that I have about my chihuahuas. Guinness is one of the best dogs I have ever met. She is the most loving and friendly little pup. She loves attention and isn’t afraid of anyone or thing. She is the best little friend to my other chihuahua. I will definitely be purchasing another chihuahua from Jen someday. Thank you Jen!!!! Figgys Cocktail Chihuahuas can be described in one simple word; AMAZING! I discovered Jen’s website in my search for a new Chihuahua puppy after having just lost one of my previous Chihuahuas. This search started off as a painful one with my only expectations being that I would never find a puppy that could even compare to my late Tucker. Although no dog will ever replace Tucker, in finding Jen’s Figgys Cocktail Chihuahuas I have been given a new bundle of joy that now helps me to fill the void from the loss of my late puppy. Jen Newton is simply the BEST breeder I have ever encountered. After speaking to Jen for several weeks and picking out (what we BOTH felt) was the perfect pup for my family and I, I flew to her beautiful Florida home. When I arrived I felt nothing but love. Her puppies were all excited, adorable, and very well socialized. The moment I saw (my pick) little “Roo” I knew that Jen had done her job in placing “Roo” with the best fit for my family. Not only were ALL of her puppies extremely well socialized and all very special; but Jen Newton makes sure you are fully supplied to bring your new baby. She supplied me with; a brand new crate, puppy blanket, toys, puppy food, puppy pack (with endless puppy info), coupons, and lastly the MOST incredible hand made “baby book.” Jen spent hours placing pictures and stories into this precious book so that I felt as though I had been there all along for my puppies entrance into this world. These scrapbooks are something you MUST see to believe….honestly they are incredible! My home is now a happy place again! With our latest addition “Roo” bouncing and prancing all over the house, he kisses every person he comes in contact with and has now even started to play with my fathers 150 LB Golden Retriever (NOTHING scares him!) Our new puppy from Figgys Cocktail Chihuahua’s was the best gift I could have ever asked for, and was completely worth the trip from NY to FLA. If ever I purchase another Chihuahua I wouldn’t go to a single place on this earth other than Jen Newton’s Figgy Cocktail Chihuahua’s. She is sincerely an AMAZING person, dog lover, and breeder. I can’t thank her enough for bringing me the most unbelievable little bundle of joy!